Giant Pumpkin Seeds Are Ready! Our award winning pumpkin seeds needed to dry before we could mail them. You can expect to receive your seeds starting December 1st. Gifting your seeds to someone special for Christmas? No worries — we will make sure you receive them by December 15th! Stay tuned for Scott Carley’s 3-part series on Giant Pumpkin Growing starting next season on Global BC’s Morning News!! Visit SEEDS, BLOG, EVENTS, SPONSORS, 2015, 2014, 2013, 2003, CONTACT and SITEMAP for more information!! Award Winning Giant Pumpkin SEEDS for Sale! 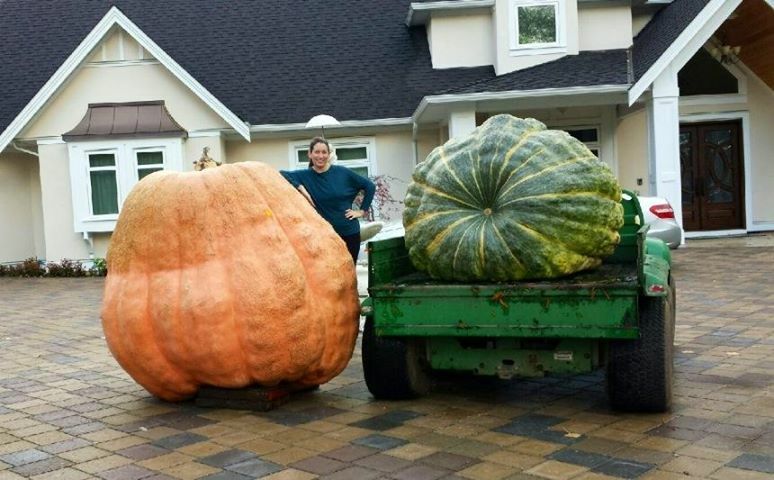 How many SEEDS do you think were in Scott Carley’s 1,427 Pound Giant Pumpkin and 725.5 Pound Monster Green Squash…?? 660 pumpkin seeds and 800 squash seeds!! Visit our SEEDS page for more information! 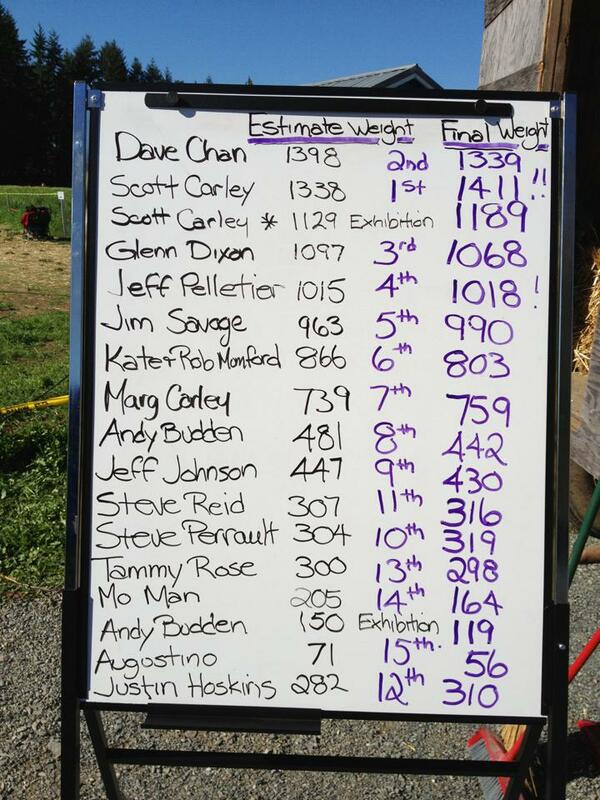 Scott Carley’s giant pumpkin (1 of his 4 largest ones) weighed in at 1,411 pounds and placed 1st in BC again this year!!! Krause Berry Farms and Estate Winery in Langley, BC, hosted BC’s Official Great Pumpkin Commonwealth (GPC) and Certified World Recognized Giant Pumpkin Weigh-Off Event. THANK YOU to all of our TOP GROWERS and SPONSORS for making this day possible! Looking forward to creating another memorable event with you next season!! We are British Columbia’s #1 Resource for Everything GIANT PUMPKIN!!! 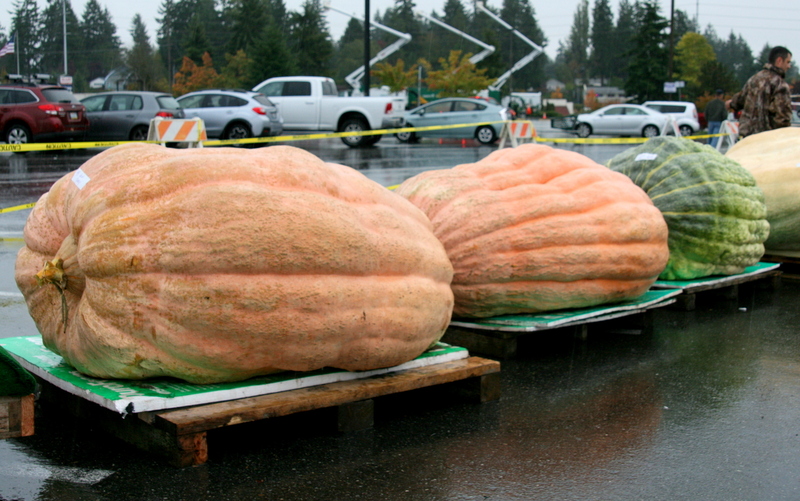 Visit our website GiantPumpkinsBC.com for the full story, photos and media from recent events (Click 2015), award winning Giant Pumpkin seeds for sale (Click SEEDS), and more…! One little, two little, three little pumpkins…! My husband Scott Carley’s 1st giant pumpkin placed 1st (out of 20 entries) at contest #1 on September 26th in Washington, USA!! 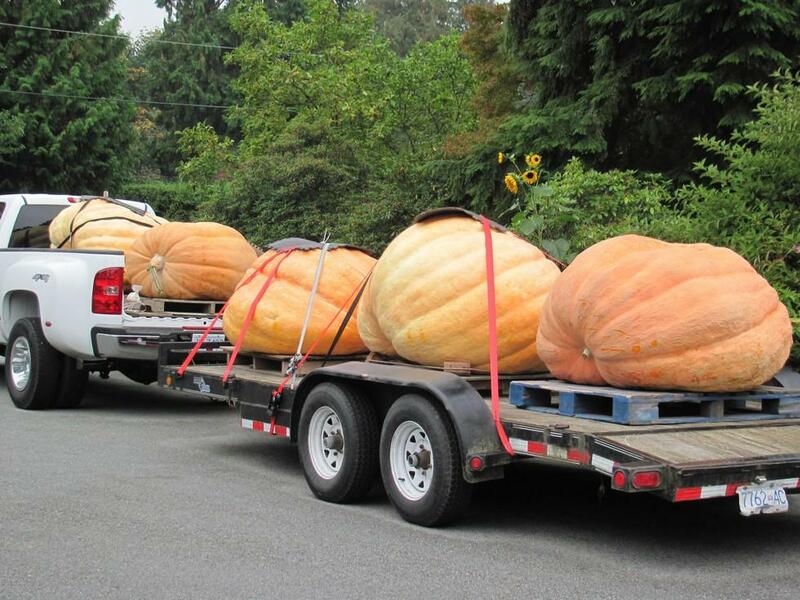 Three more sleeps until the Official Giant Pumpkin Weigh-Off Event this Saturday, October 3rd at Krause Berry Farms in Langley, BC! Contest # 2 for Scott! Competition is HUGE!! One of Scott’s giant pumpkin pals has a pumpkin really close in size to Scott’s 2nd giant pumpkin…but it all depends on which one is heavier…it will be a close call! Scott’s saving his 3rd giant “THE BIGGEST” pumpkin for contest #3 on October 10th in Washington, USA — Scott hopes to to beat the BC Giant Pumpkin record of 1,536.5 pounds that was set by Giant Pumpkin “WORLD RECORD” holder Jake Van Kooten in 2008!! 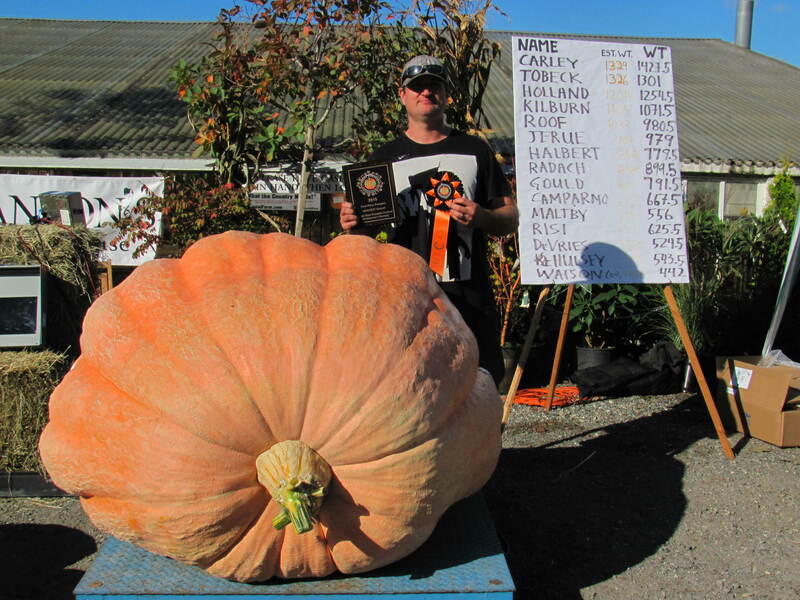 On Sep 26, 2015, Scott Carley’s giant pumpkin (1 of his 4 largest ones) weighed in at 1,427 pounds and placed 1st (out of 20 entries) in Washington, USA!! 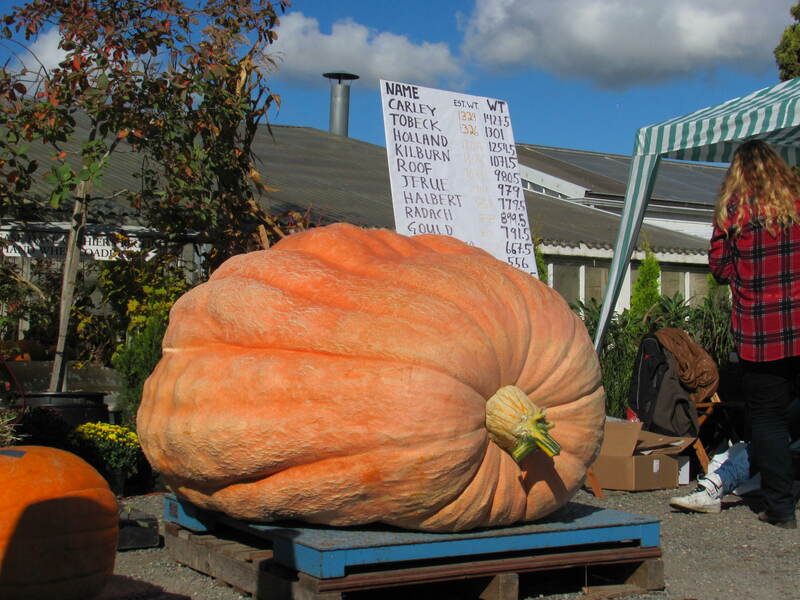 He was close to the site record of 1,450 pounds that was set by Giant Pumpkin World Record holder Joel Holland in 2014! Scott was featured by the Seattle Times (http://www.seattletimes.com/seattle-news/a-little-pumpkin-at-the-competition) and other media — this was contest #1 of 3 this season! !